Terrific post! I never saw the portraits of Maria and Elizabeth’s youngest sister, Charlotte. Plainly it was drawn the same time as the portraits of the older sisters. Interesting how often the Brontës went to Maria’s family for the names of their daughters. The difference between level Chapel Street and toboggan run Main Street couldn’t be more marked! 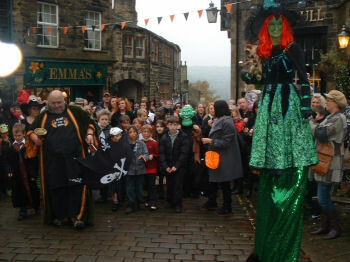 No wonder Aunt Branwell stayed mostly at the parsonage! Looking forward to your up coming books! Thanks Anne! 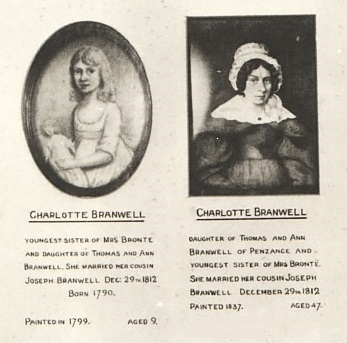 Yes the Branwell family had a number of miniature portraits painted in 1799 by James Tonkins. Fascinating story – I’m descended from the first Mrs Baines (ne Lydia Veale, daughter of George Veale esq). She married Capt. Cuthbert Baines R.N. Cuthbert married again after Lydia’s demise. In his will he left the house in Chapel Street to his second wife Mrs Baines. 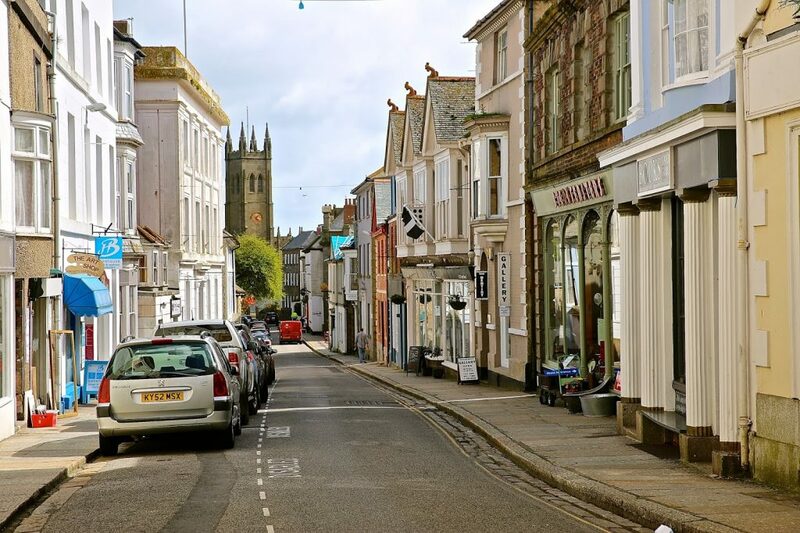 Cuthbert gained much property in the Parish of Paul, via marriage to Lydia, who inherited a share in the ‘Manor of Alverton’ Penzance. Lydia Baines is buried in the Baines tomb, Gulval Church graveyard. Capt. Cuthbert Baines was Captain of HMS Falcon stationed in the West Indies, involved in fighting the Americans during the war of independence. At the time of marrying the ‘ghostly’ Mrs Baines, he was in charge of the Falmouth ‘impress’ (R.N. Press gang). He died in London – buried in Marylebone. He was awarded Arms by George lll. 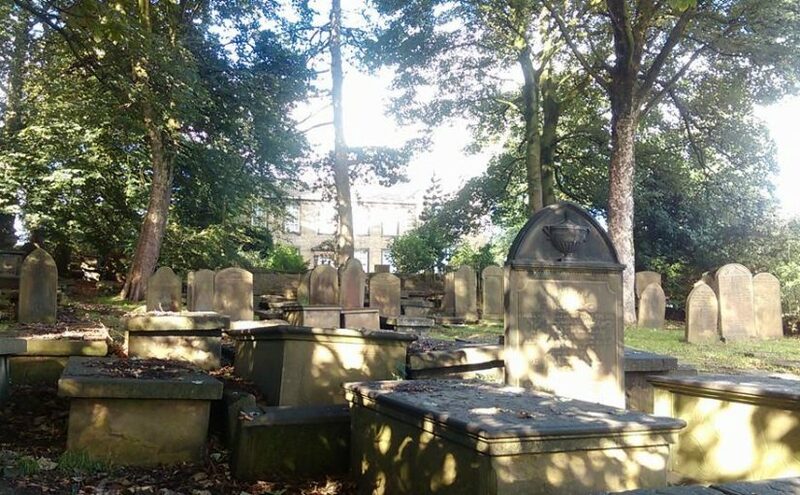 I hadn’t heard of the ghost of Mrs Baines, especially the connection to the Bronte’s. Thank you so much Alan, especially for the extra information regarding Mrs. Baines and her descendants! I delivered a Bronte talk in Penzance recently, and it seems that the story lives on there for the audience were all aware of it! Just to add that Mrs Baines of Penzance ghost fame and second wife of Captain Cuthbert Baines R.N., was Mary Anne Maurey. They married in 1808. Mary Baines did not bear children. I’m pleased that the people of Penzance still recall the name of Baines, if only as a ghostly apparition. Thank you very much for the information Alan – very illuminating!